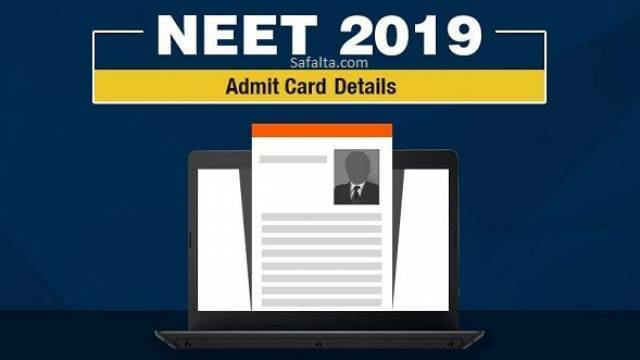 NTA NEET 2019 Admit Card can be downloaded from April 15, 2019. The online application process for the National Eligibility Entrance Test (NEET) 2019 was conducted from 01 to 30 November 2018. The NEET (UG) - 2019 will be conducted on Sunday, 5th May 2019. The Candidates who had applied for the NTA NEET 2019 should visit the official website to check details and download the admit card.